No need to teach these unicorns to sit; they already are! 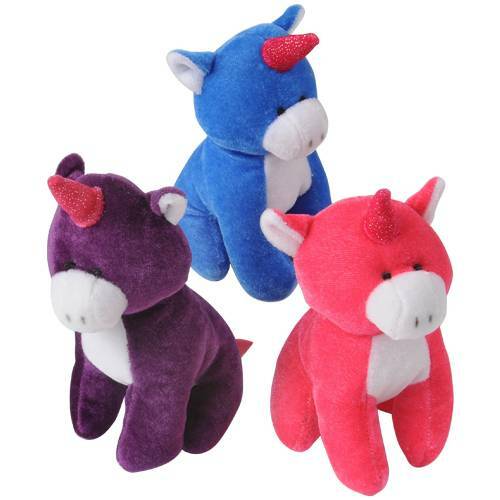 A perfect party favor, these sitting unicorn plush bring the fantasy to reality for kids of all ages. Brightly colored, they can be used as party favors or as redemption prizes for the next school carnival.